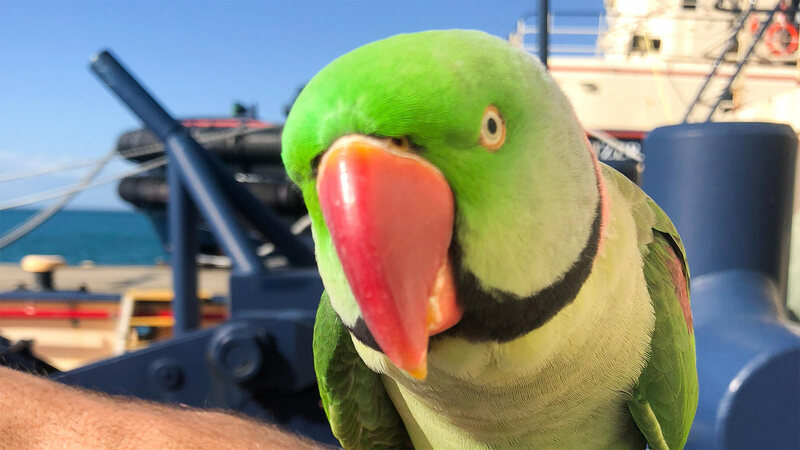 The crews of Svitzer Olivia and Svitzer Edwina became caretakers of an exotic Alexandrine bird, on the lam from his household and fighting for survival from a flock of angry seagulls. 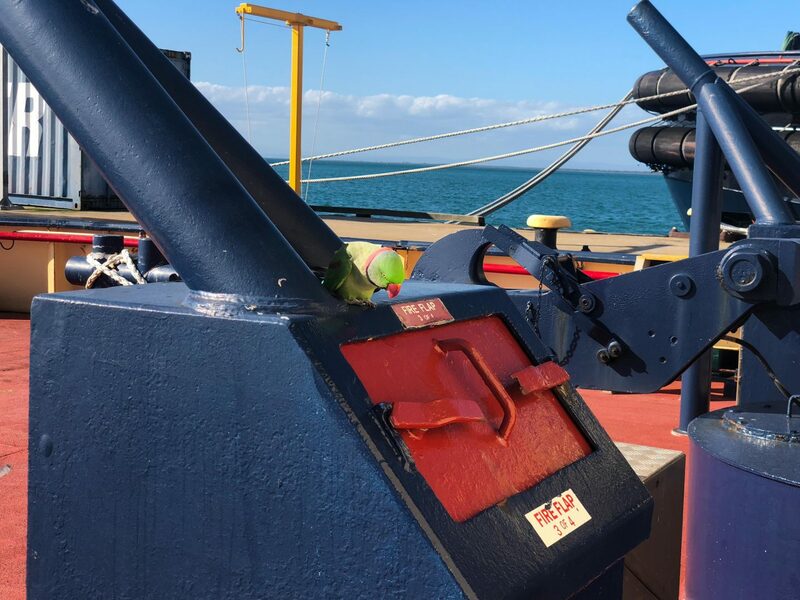 The colourful escapee landed on the tug while berthing Svitzer Edwina in Western Port, Melbourne. 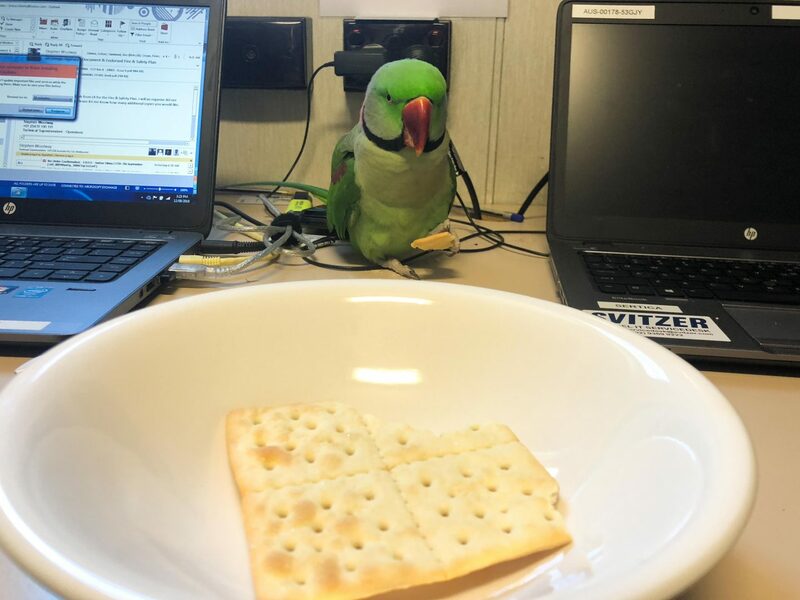 The crew called a local veterinary clinic, which advised the team to put an alert out on the popular parrot finder website, www.parrotalert.com. 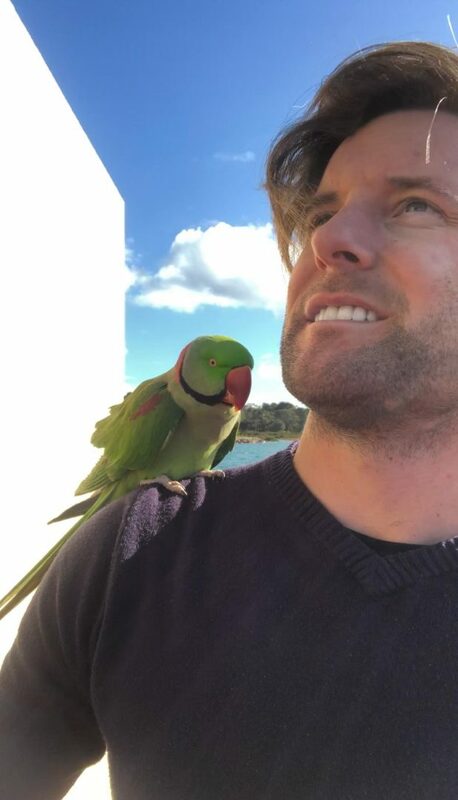 Thankfully, the very relieved owner and the exhausted parrot were soon reunited. Turns out ‘Buddy’ had flown 30km from home and had survived a week in the wild. Buddy sang when he saw his owner, and she was in tears! Well done to the Svitzer Edwina and Svitzer Olivia crews on the good result.